The NESCAFÉ Clásico Vive Con Sabor Sweepstakes is open only to legal residents of the fifty (50) United States (including District of Columbia) who are at least eighteen (18) years old. 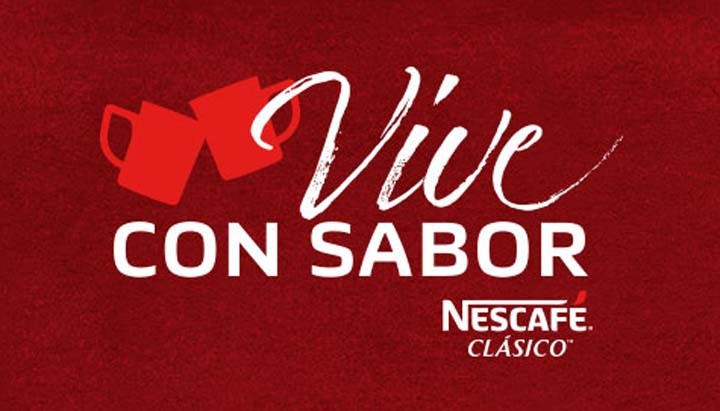 The NESCAFÉ Clásico Vive Con Sabor Sweepstakes ends on November 12 at 11:59 p.m. ET. During the period, purchase any 7 oz. or larger jar of NESCAFÉ Clásico, NESCAFÉ Clásico Decaf, or NESCAFÉ Clásico Mild coffee and locate the on-pack code found at the bottom or on the back of the jar. Then, visit nescafeclasico.com (viveconsabor.nescafeclasico.com/oamoe) and follow the links and instructions to complete and submit the registration form. Sweepstakes Prize: ONE (1) GRAND PRIZE: A trip for two (2) to meet Ricky Martin for a coffee break “Meet and Greet”. Trip package includes round trip, coach-class air transportation for two (2) from a major airport near winner’s home to city near the location of the Meet and Greet; two (2) nights’ accommodations at a hotel determined by Sponsor in its sole discretion; and a check for $10,000. Approximate Retail Value (“ARV”) of the Grand Prize will range between $15,000 and $20,000 depending on event location. Instant Win Game Prizes: TWENTY-FIVE (25) FIRST PRIZES: A year supply of NESCAFE Clasico, NESCAFE Clasico Decaf, or NESCAFE Clasico Mild awarded as twelve (12) free product coupons each good for 7oz. jar of NESCAFE Clasico, NESCAFE Clasico Decaf or NESCAFE Clasico Mild. ARV: $102.00. FIFTY (50) SECOND PRIZES: Two (2) NESCAFE red mugs and a free product coupon good for one 7oz NESCAFE Clasico, NESCAFE Clasico Decaf or NESCAFE Clasico Mild. ARV: $10.00. FIVE HUNDRED (500) THIRD PRIZES: A free product coupon good for 7oz NESCAFE Clasico, NESCAFE Clasico Decaf or NESCAFE Clasico Mild. ARV: $8.50. FIFTY (50) FOURTH PRIZES: A red coffee mug autographed by Ricky Martin. ARV: $0.82. TOTAL ARV OF ALL PRIZES: $27,341.00.